Preheat oven to 425 degrees F. Soak the skewers in cool water. Spread the bread crumbs into a cake pan and place into the oven for 2 minutes or until lightly toasted. Remove the bread crumbs from the oven and add to the bowl and mix with olive oil, garlic, salt, crushed chilli flakes, Parmesan cheese and set aside. Cut the broccoli florets into bite size pieces. Cut the stalk into 1/8-inch thick, round slices. 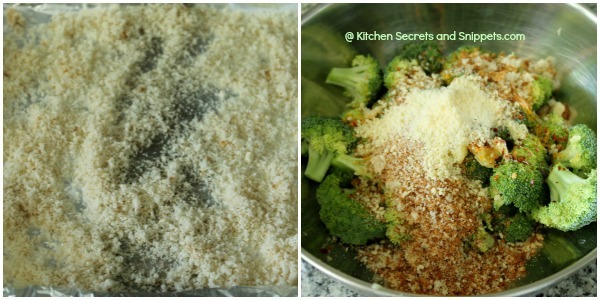 Place the broccoli into a mixing bowl and toss with the bread crumbs mixture. Toss to combine. 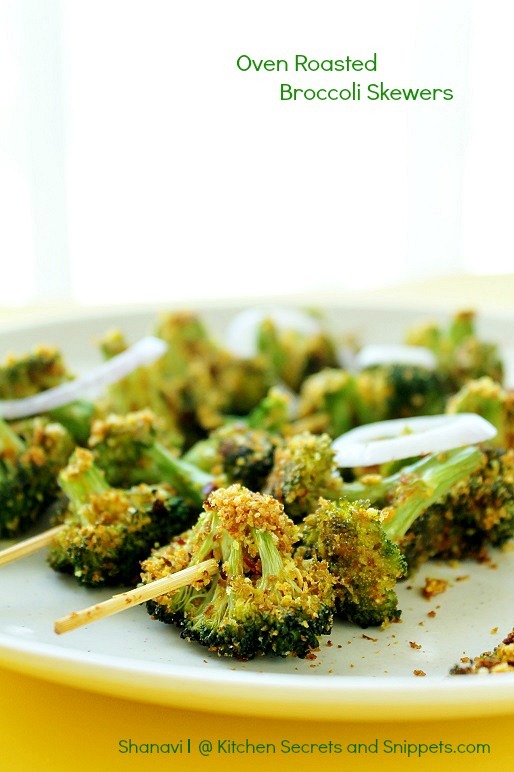 Thread the broccoli florets on the skewers. 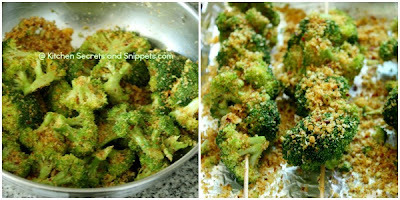 Return the skewers to the cake pan, place in the oven and roast just until the broccoli is tender, 8 to 10 more minutes. 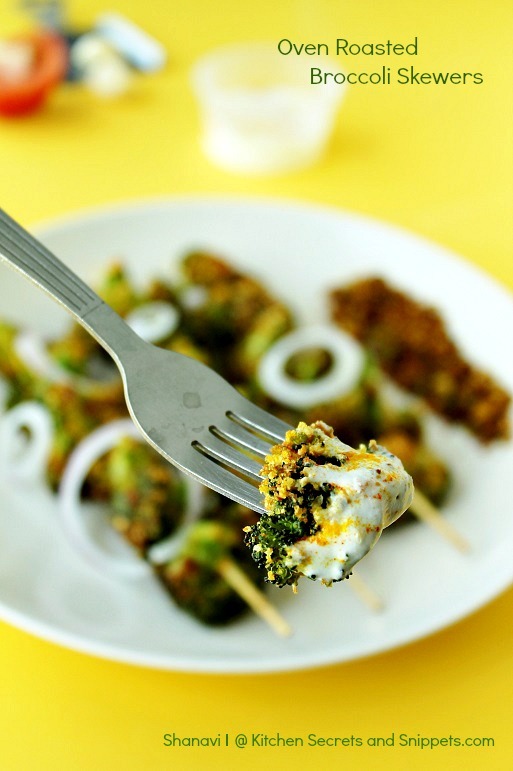 Take the skewers out of the oven and drizzle with little bit of lemon juice and serve hot with yogurt dip. Slightly whisk the yogurt with salt. 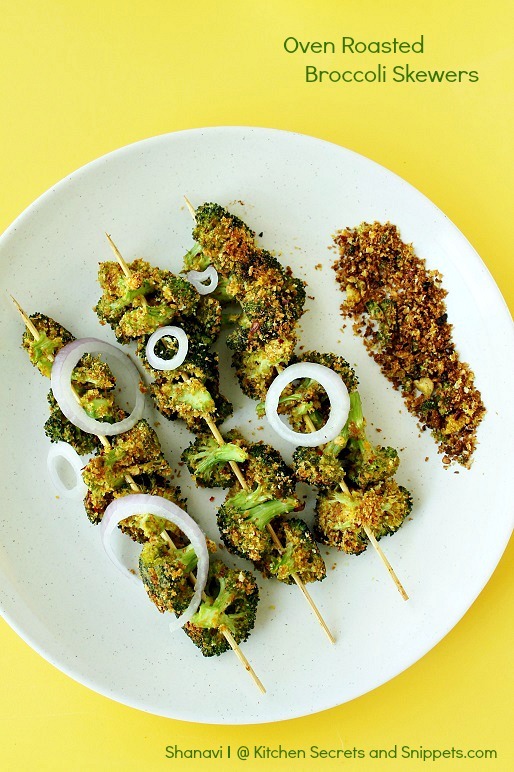 Sprinkle the pinch of turmeric powder and red chilli powder on top and serve with Broccoli Skewers. wonderful prep.. love to try it.. 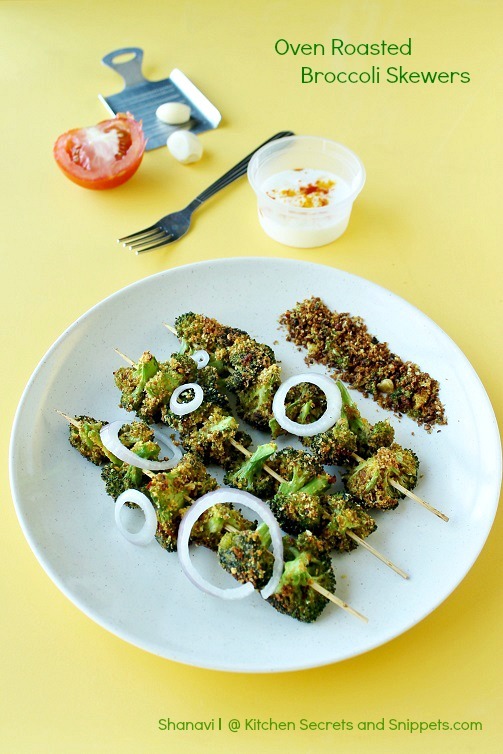 Seriously am in love with those skewers, pretty inviting and healthy. Delicious and crispy and healthy side or appetizer shanvi. great idea to savor broccoli ! perfect pics! 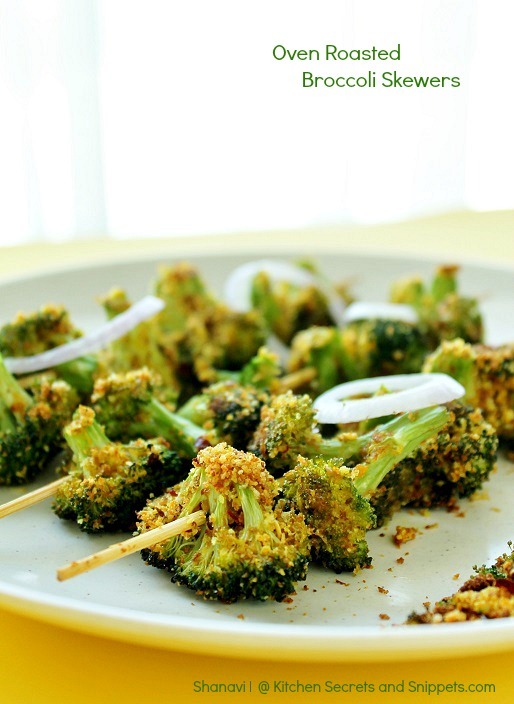 Simply wonderful crispy broccoli dear. Yummy......wish to pick up few from your plate.